McDonalds, the world famous fast food chain serving questionable food to millions around the globe. There aren't many boxing stories that start off under the Golden Arches of the smiling clown, but for 21 year old light welterweight Tommy Martin (13-1-0) he has the fast food vendor to thank for a career that is blossoming into something special in the ring. "I was actually a footballer before boxing Tommy tells me. "My little brother used to have to come and watch me all over the country when I was playing. Even when I was training my mum brought him with us all the time and she always used to get him a McDonalds on the way there or on the way back and he naturally put on a lot of weight! She took him down the boxing gym to help it and asked me to go and watch him, so I went on a bit of a guilt trip and I fell in love with it. That was when I was about 14. I turned pro when I was 18 so I only had a four year amateur career. I never won any national titles though. My last year in the Junior ABAs I was in the semi final and I boxed someone in their own gym, I was smashing them to pieces; his nose was busted, I dropped him. Then they gave the decision to him! I was going to completely jack it all in when my old man said to have a go at the pro game so I did and have never looked back." Martin recalls how people questioned his life choices when he was just a young man. A scholarship offer on the table from Peterborough United and the possibility of the glamorous footballer's life, he turned it down and went with his heart down the road of laced up gloves and hard worn gum shields. There was a period when the two sports overlapped in his life and, as he tells me, it was part of what shaped his choice. "I was training three days a week at Peterborough United and playing as well but also boxing on the days that I wasn't playing football. To be honest I was on a cold muddy pitch and just wanted to be in a nice warm gym!" laugh Martin. After the agony of poor judging costing amateur boxing a potential star and without the same hype of the Olympic medallists, Martin made his name the traditional route. Boxing on small hall shows from when he turned professional in 2012, Martin has fought from the old favourite of York Hall in London all the way to near back home when he took on Jason Nesbitt in his second fight at The Arena in Peterborough. As a resident of St Neots in Cambridgeshire Martin, he would fight once more in 2014 back in Peterborough again before one final small hall show at The Troxy in London before the bigger shows started to beckon. 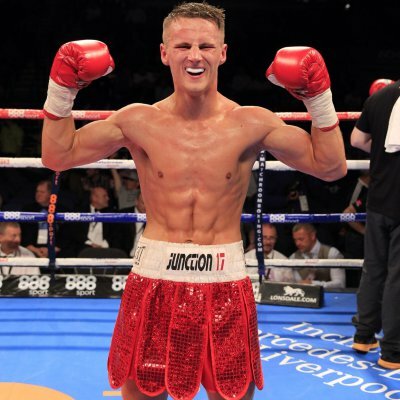 In July 2014 and still only aged 20, Martin made his first appearance at a large arena show as he beat Ainsley Seawright on points at the Echo Arena in Liverpool. Since then, it has been large scale venues, big production shows and plentiful fans to back his progress. So how was the trainsition from small hall boxer to large scale boxing attraction for Martin? "I did it the hard way. I started in front of 800 to 1,000 people and now I'm boxing at the O2 which holds 18,000. My coaches Barry Smith and Jimmy Tibbs always make sure I'm tunnel vision and make sure I'm doing the job in hand. It wouldn't bother me if I box in front of ten people or ten thousand, once I'm in that ring it's four ropes and four corners and that's it." It's a very grounded and down to earth view from the young man, especially when you consider his achievements for someone of such fomative years. 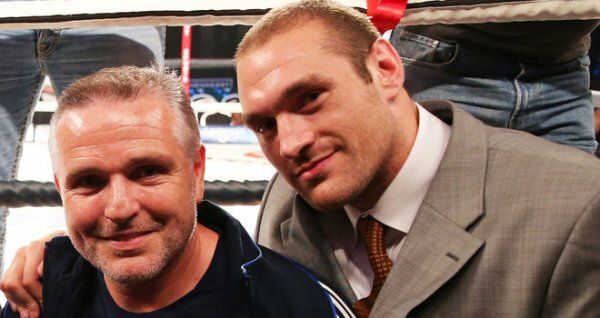 In only his 11th fight, he took on Ricky Boylan at the O2 Arena for the English light welterweight title and scored a unanimous points victory in January 2015. If it all ended tomorrow, would he be happy with his boxing career? "When you look at it compared to my amateur career I've probably already over achieved. 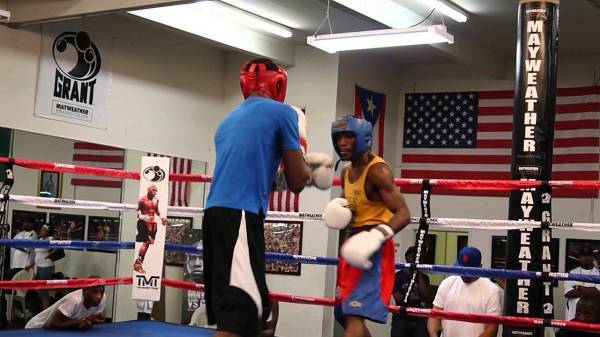 Now I have seen how far I can go in the sport I'm not going to stop until I get that world title and that's a fact. People don't turn pro normally until they're 23 or 24. I'm only 21 and I've collected the English title, I've boxed for the WBC International and Commonwealth titles and put on a great account of myself. The next two or three years I'm just going to keep going. The pace we're going at is unbelievable and it's a case of making sure we get the right fights at the right time." At the back end of January this year, this time at the Copper Box Arena in London, Martin took on his biggest challenge to date against John Wayne Hibbert. The two have a long friendship out of the ring, but put it to one side to battle it out for the WBC International and Commonwealth title at the main support to the returning George Groves. The two were in undoubtedly the best fight of the night. Hibbert started the stronger of the two, his significant size advantage seeming to take away from the more energetic and spriteful Martin. However in the middle rounds Martin was still displaying bundles of energy as Hibbert seemed to slow down. Martin took over for a period, darting in and out of range while still light on his feet and making Hibbert miss with the heavier shots. In the end though, seemingly having had his energy sapped by 12 rounds of fighting a larger looking man, Martin was counted out in the final round. He had announced himself to the Sky viewership at home. A bright personality, a hugely gutsy performance and an exciting fighting style all combined to give Martin, even in defeat, a profile that many boxers would crave for. I ask Martin if there are any regreats in taking the fight which gave him his first loss. "I had to take the opportunity, when it comes knocking you have to take it with both hands and that's what we did. I had nothing to lose in that fight, I'm 21 and was going in to give it my all which is what I did. At the end of the day the better man won and I can't argue with that." So if the rematch were on the table, would it be of interest? "Of course. I would love that rematch but he won't have it, he's already said that he doesn't want it. He's said he has two or three more fights left in him and that's him done." 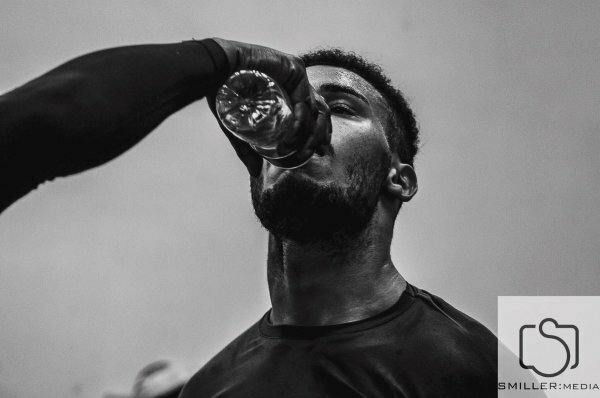 Hibbert spoke after the fight about how hard it was to fight his friend, how the training camp had been so difficult knowing that it was all to take it out on someone that he held dearly. For Martin though, it seems there is a more clinical approach to it! "With me it doesn't bother me one bit, I aint going to lie!" he laughs. "I was just looking at the titles and the bigger pay days but John knows how much I love him. It was just one of those things, it's business and we had to switch off for 36 minutes. I loved the occasion and the buildup and everything about it. It was hard to not get the decision on the night, or even hear it!!" With Hibbert looking the obviously bigger man on the night despite both weighing the same at the weigh in, is Martin going to stay at light welterweight or consider a move down in size? "We've worked out that lightweight is looking like it will be the best option for me. I think that was the main thing I took from the night; is light welterweight maybe a bit too big? Maybe so. 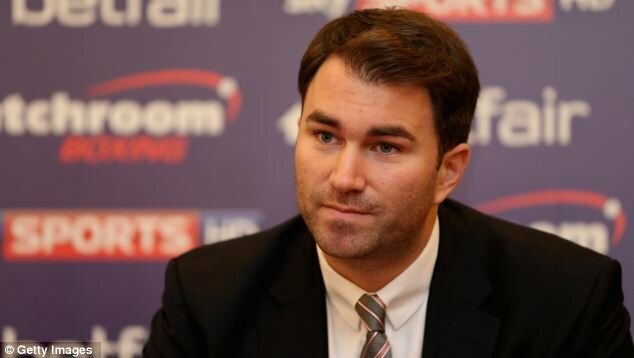 We have to go back to the drawing board and I'll speak to my management team at MGM Marbella and Eddie Hearn and Matchroom sport and see where we go from there." If he does go down a weight division it opens up some mouth watering possibilities. With Terry Flanagan and Anthony Crolla both holding world titles, plus a plethora of talent bubbling underneath, Martin would provide a huge new talent to an already exciting domestic weight category. "There's a lot of big fights" he says, clearly chomping at the bit to add his own name to the list of challengers and champions. "Just look at the top ten compared to the top ten at light welterweights. There are two world champions in Britain in the top ten, plus Derry Matthews is going to be fighting on of them for it plus the likes of Luke Campbell and Ohara Davies. There's good boys in that division." One thing that stood out to the fans in attendance and the viewers on Sky when he fought Hibbert on January 30th was just how naturally Martin boxes. He moves with fluidity, floating around the ring more than walking. Never occupying the same space for more than a second, he was a hard target for Hibbert to pin down and made his opponent look pedestrian at times. The energy stayed throughout but, as Martin says, it may have been to his detriment. "I think that's just the athletic side coming out of me, moving around a lot. We knew we couldn't stand and trade with John all night long, we knew we had to be sensible. Maybe I moved a bit too much but you live and learn" he reflects. The next 12 months could be exciting for the St Neots native. He is talking about potentially being back out on the Anthony Joshua card, again at the O2, on April 9th. From how he talks it could be his introduction to the lightweight division. Coming off a loss many fighters make changes, often the trainer gets the boot or a new location for training is found. That's not the case though for Tommy Martin. His changes are done with positivity. A move down to lightweight would make him a relative giant amongst smaller men and he may be able to impart some more of the power that has already seen him claim five KO victories in his career. However it works out it is clear that Martin isn't sulking around or reflecting on what might have been. The loss happened and now he wants to move on. He talks of it as a "comeback" but in reality, the fans don't want to see him out of the ring for long enough for it to be a real comeback. After his exposure on January 30th in a hugely entertaining domestic dust up, fans want to see more of the same Tommy Martin with his high tempo and explosive style. At only 22 years old, there are many more years to gather titles and grow back into bigger weight divisions. For now, fans of the sport should just enjoy him for what he is, an all action entertaining fighter with huge potential in front of him. Tommy wished to thank his sponsors who are integral in supporting his boxing career, namely The Meat Man, Junction 17 Cars and Essex Smiles in St Neots. Also he wanted to thank his management team at MGM Marbella who he cites as being able to give him "unbelievable training camps".